Leland Purvis is an artist and craftsman currently working in graphite and pigments on paper, using pictures to tell stories. His major works in recent years have been graphic novels, historical fiction, largely aimed at younger readers. An Eisner-Award and Ignatz nominee, he received a Xeric Grant for his self-published comics anthology, VÓX, and critical acclaim for PUBO, a creator-owned limited series published through Dark Horse Comics. 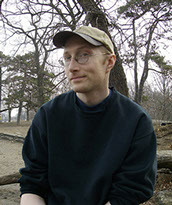 He is the artist on several recent graphic novels published by GT-Labs, FirstSecond/ RoaringBrookPress/ MacMillan, Simon & Schuster/ Aladdin, and Tor.com. Purvis is a founding member of Drawbridge Studios (formerly Deep-Six) in Brooklyn, NY, and of the ACT-I-VATE webcomics collective. His reviews of comics, and essays on narrative image theory, have been published in The Comics Journal. He is sharply and deeply opinionated but has apparently learned to avoid starting fistfights as they tend to get in the way of stories, art, and amiable social drinking. He is self-taught as an artist and writer, so any deficiencies are entirely his own. Purvis lives in Oregon with his wife and daughter, who is a seventh-generation Portland resident. All Content © 2016 Leland Purvis. All rights Reserved.